A lot of my time is spent writing, updating and improving web copy. This includes landing pages, advice pages, FAQs and staff biographies. 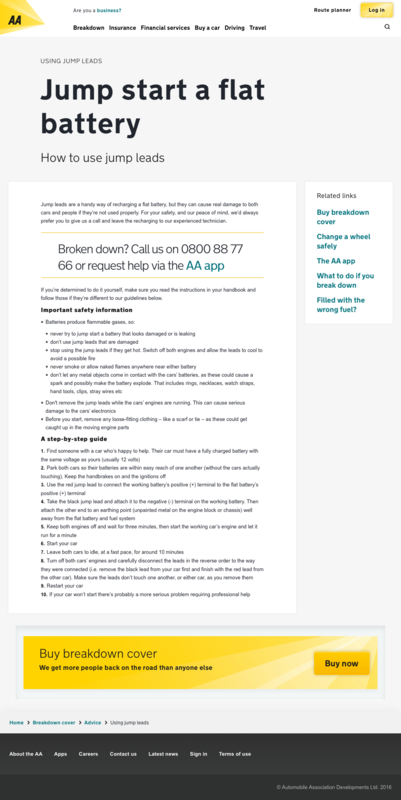 Here are just a few examples of website copy I’ve written for The AA, O2 Business, Carex and Beiersdorf.